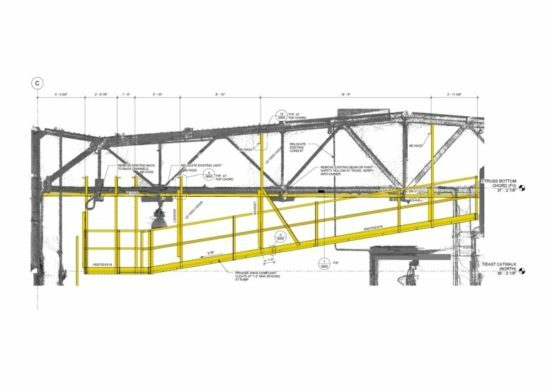 ZS was retained to assess and develop solutions to provide OSHA compliant access in a highly congested industrial space. 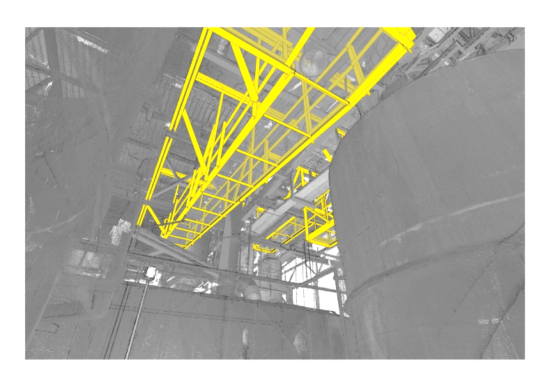 Laser scanning was performed with no disruption to operations to capture the as-built geometry. Using the point cloud, access options were developed and presented to the owner using 3D visualization. 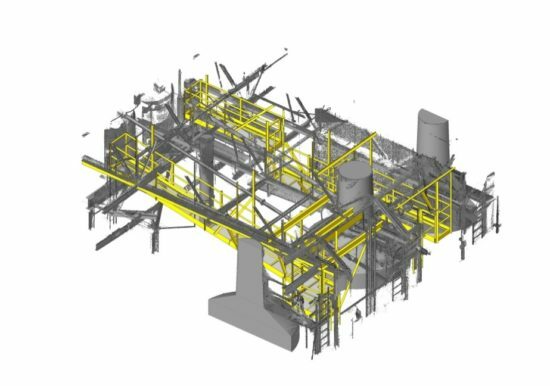 This aided in the decision making of the stakeholders and streamlined construction through the use of Virtual Design and Construction. Field survey and measurements to document existing structural framing, miscellaneous framing, sand pipes, and potential interferences. 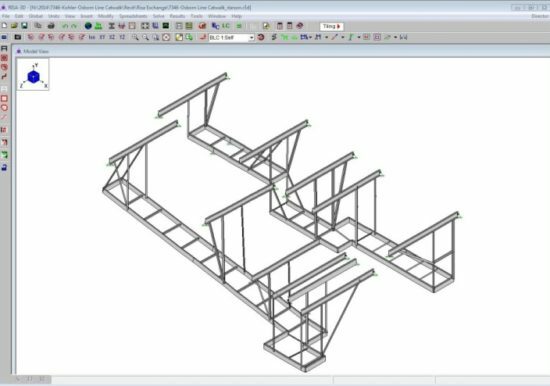 Structural Design and Construction Drawing Documents for the catwalk framing.